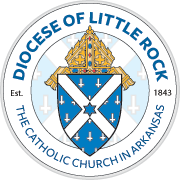 This 13-part series is being published from December 2015 to December 2016 in Arkansas Catholic, the weekly newspaper for the Diocese of Little Rock. To order a subscription, visit Arkansas Catholic. These articles are being written by the staff of Little Rock Scripture Study for the Holy Year of Mercy. Each one includes questions for group study. To read or print an article, click on one from the list below. For more information, contact Little Rock Scripture Study.